Kfm 94.5 - Competitions - Find the Big Red K and win! Find the Big Red K and win! 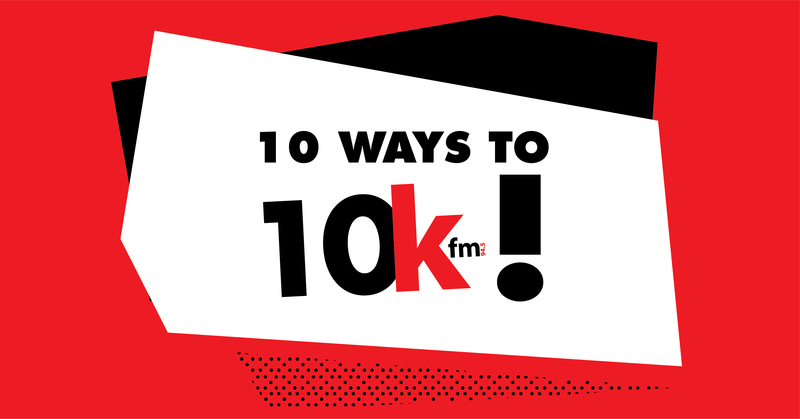 Kfm 94.5 presents, 10 ways to 10 K.
As Cape Town gets ready for summer – we’re taking our BIG RED K to 10 locations in the city! We need YOU to bring the FM, for a chance to win R10 000 in cash! Check below for details on where to find the Big Red K in Cape Town – and when. Then grab your squad and use your bodies to finish the FM in “Kfm” – from Village people moves to Yoga poses, do whatever it takes. Then share your pic using #KfmLovesKaapstad to stand a chance of winning BIG with the BIG RED K! Saturday, 10 November: Join Kfm Mornings and Carl Wastie at The Restaurant @ The Nek, Constantia Nek, from 10.30am to 3pm. Tuesday, 13 November: We'll be landing at Cape Town International Airport at 11am until 2pm. Wednesday, 14 November: Have your lunch with us near the McDonald's in Green Point between 12pm and 3pm. Thursday, 15 November: It's sundowners at the new Tiger's Milk in Camp's Bay from 4pm to 7pm. Stay tuned to Kfm 94.5 as we reveal more locations! 10 ways to 10K. Only on Kfm 94.5. The most cash prizes to make you feel great. This competition runs from Saturday 10th November to Monday 19th November. To participate in the competition, listeners must find the Big Red K and, using their bodies, complete the “FM”. They must then take a picture and share it to the Kfm 94.5 Facebook page or post on Twitter or Instagram using the hashtag #KfmLovesKaapstad. On Tuesday 20th November on Kfm Mornings, one winner of a R10 000 cash prize will be announced. 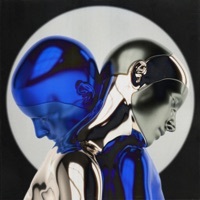 Kfm 94.5 will not be held liable for entries not received for any reason whatsoever and will not be responsible for network connectivity or hardware issues experienced while participating. All social media posts must be publicly visible and must include the hashtag #KfmLovesKaapstad in order to qualify. If a winner cannot be successfully contacted, is ineligible to accept the prize, or contravenes the terms and conditions of this competition or of Kfm 94.5, the prize will be forfeit. Employees of Primedia Broadcasting and their immediate family and friends are not permitted to enter the competition.